Last month I had the pleasure to assist (and speak) at the 8th edition of the ConvegnoGT, organized by GTIdea and possibly the most important Italian congress about Search Marketing. 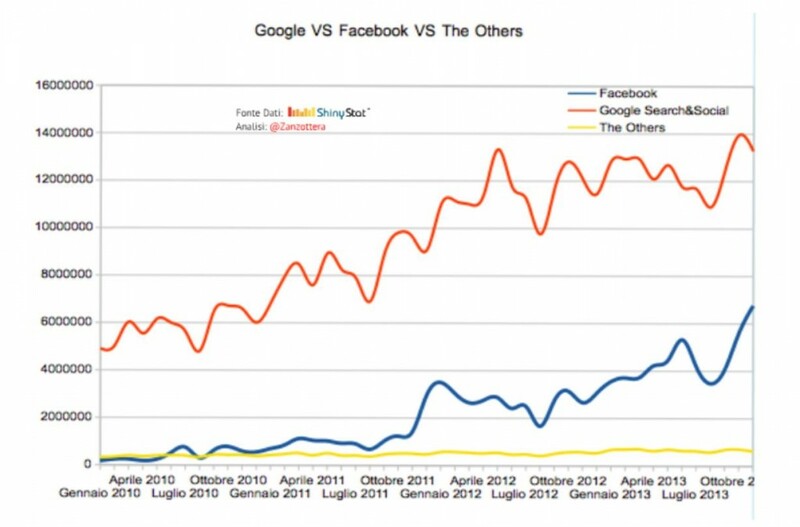 One of the most interesting speeches this year was the one given by Paolo Zanzottera about the State of Search in Italy. This research is a an update of the same one Paolo presented last year and that I reported in this post on Moz. 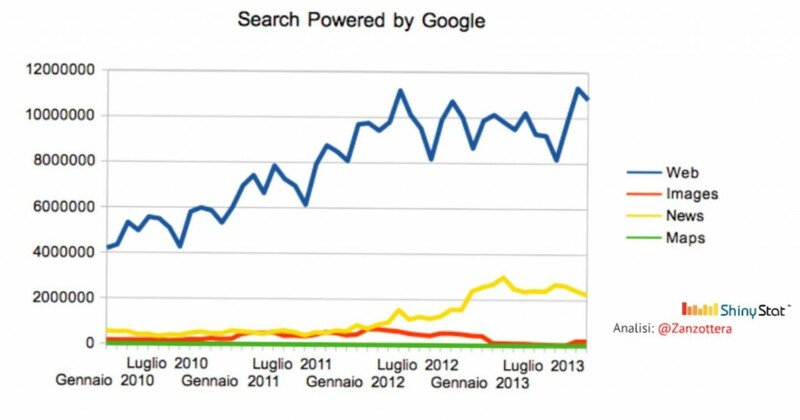 The study explored the evolution of Search in Italy in 2013, and even if it refers to how Italians have changed the way the search in Internet, we can reasonably assume that the trends are quite similar in other European countries. 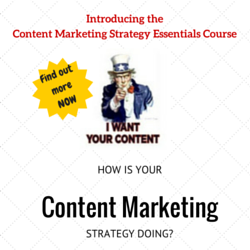 The sites included in the research, and distributed over 47 categories, were 3,000. The data sample is offering a unexpected result: organic search in 2013 slowed down significantly after year of unstoppable growth. 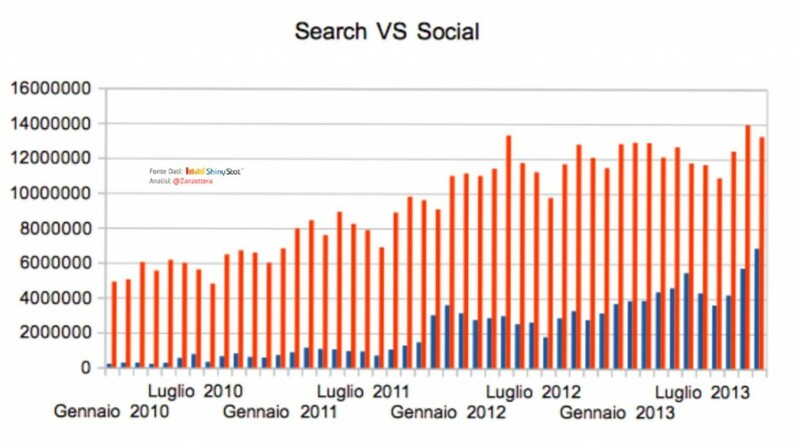 In fact, if in 2011 the organic traffic grew 41.72% compared to 2010, and in 2012 a 39.34% over the previous year, in 2013 the traffic from organic search increased only 9:18% compared to 2012. Be advised that with Google Brand Paolo meant all the different vertical search engines Google offers (Universal Search, News, Maps…). 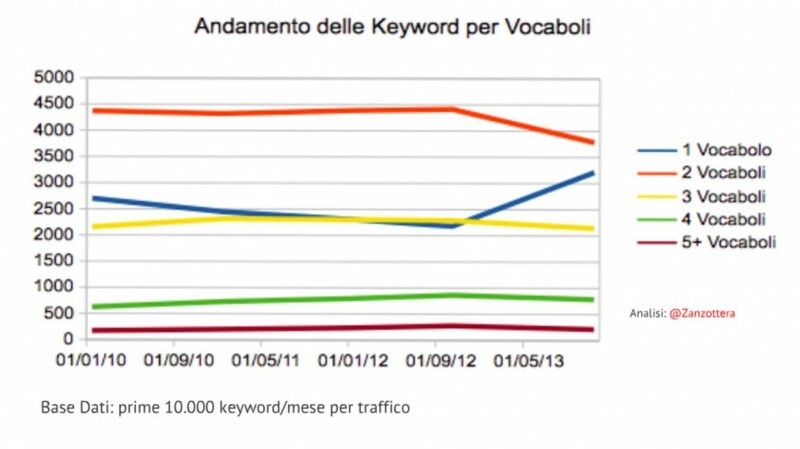 All the other search engines (included Bing and Yahoo) own just a miserable 3.94% of the Italian Search market share. In 2013 Web Search decreased from the 83% registered in 2012 to 81%, while organic visits from News increased from 13% to 17%. Visits from Images Search decreased due to the layout change Google did of this vertical (2% in 2013 respect 4% in 2012). Finally, the organic visits from Google Maps are almost statistically useless. Of great interest are also the data the research offered about the length of the queries and the impact of (not provided). This data, though, is affected by the impact of (not provided), which – in October 2013 – represented the 82.68% of organic searches. 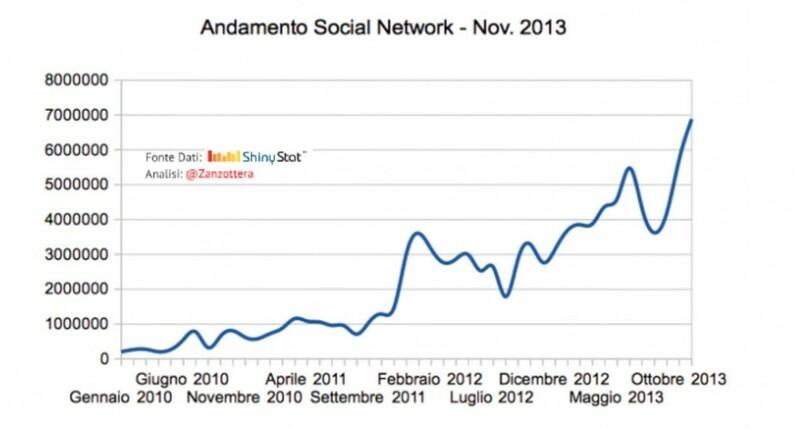 In November 2013 Social traffic grew 149% over the prior year to November, and in November 2013, the Social generated the same volume of traffic the whole of 2010 and the first two months of 2011 added together. After analyzing Search Engines traffic and Social Media traffic singularly, the research confronts them offering its most interesting insights. 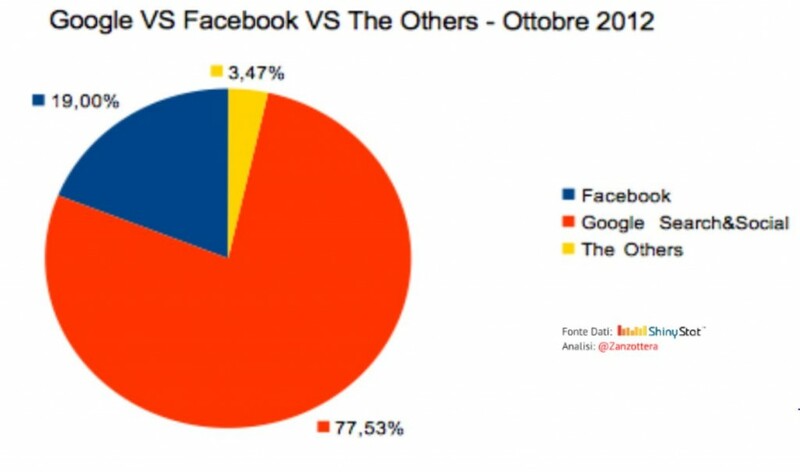 If on January 2010 the organic traffic generated by search engines represented the 96,81% of all the traffic to the analyzed websites, in 2013 it represents “only” the 65.86% of it. 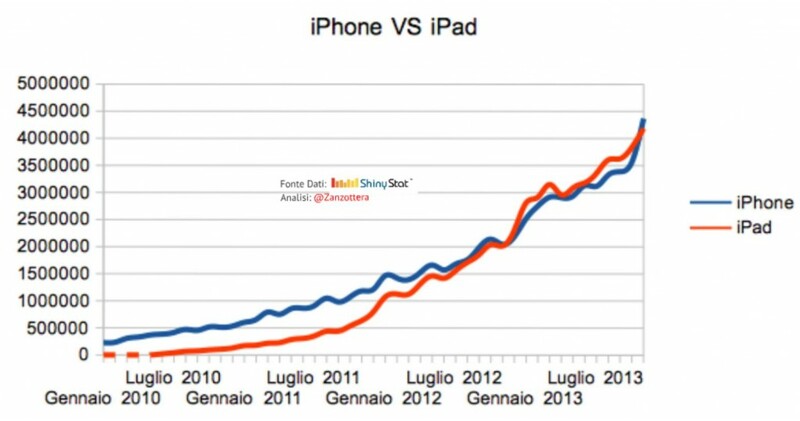 Also in Italy the traffic from the mobile is increasing exponentially over the last few years. 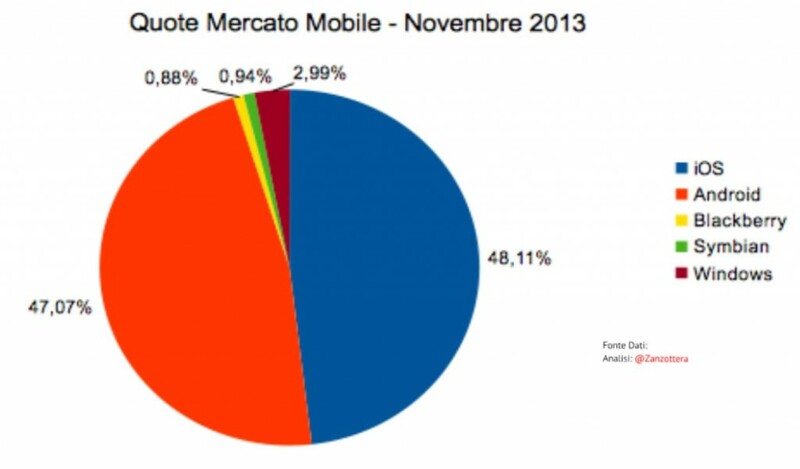 In almost four year traffic from mobile increased 16x. 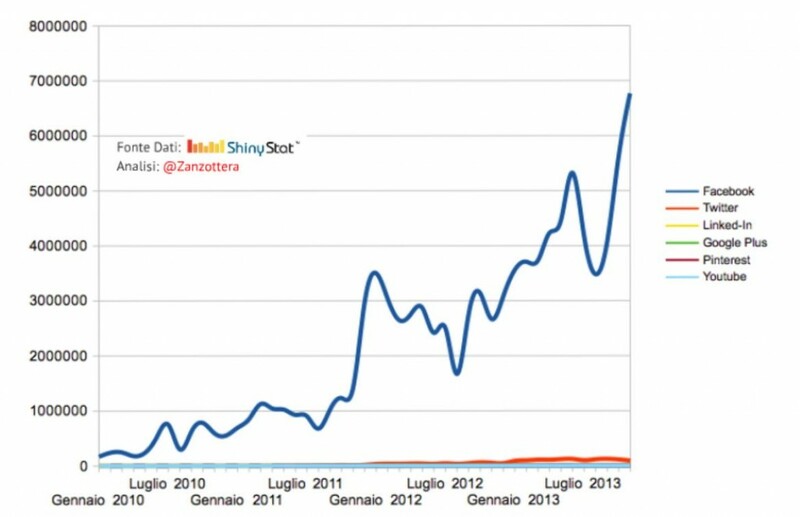 The peaks you see in the chart above are referring to August, when Italians are on holidays and mobile become even more important for staying (always) connected. That doesn’t mean that other traffic sources are useless, but data tell us that our clients will not look at them as essential. In the case of Italy, possibly only Twitter – as it is targeting bigger audiences thanks to connections with news and, especially, TV shows, could be considered an interesting digital outlet for some businesses’ owners. What data are telling us, though, is that if we consider traffic as a all, then Google is not anymore that powerful as it was just three years ago. 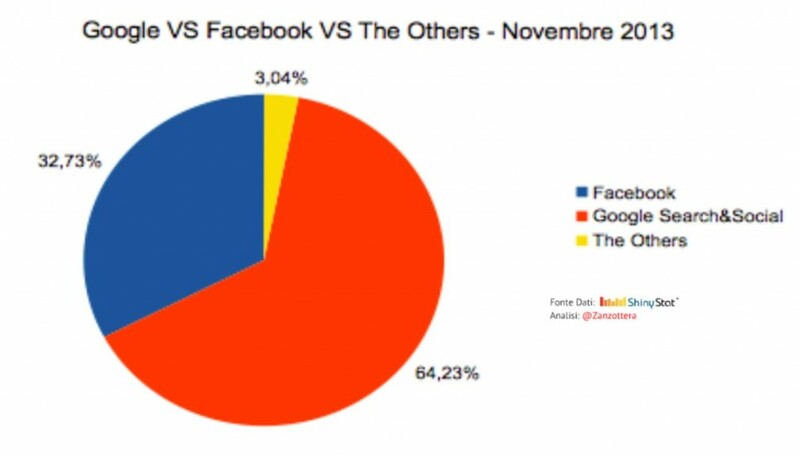 Social Media, aka Facebook, is becoming year over year a stronger competitor for Google. Or, maybe, that means the people are not considering anymore just Google for discovering sites, but have a more liquid attitude when it comes to search. Finally, mobile still doesn’t offer the same traffic volume as desktop, but it’s growth is such that in one year it will potentially as much traffic as desktop. The fact that the one-word queries are rising in use after years of decay is a strong signal in that direction. 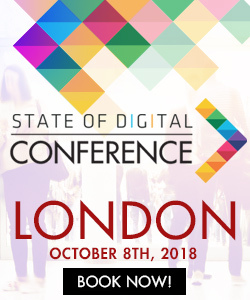 Conferences vs Training vs Self Study – What Is The Best Way To Learn Digital Marketing? Interesting! Didn’t know Twitter and Linkedin were THAT irrelevant!